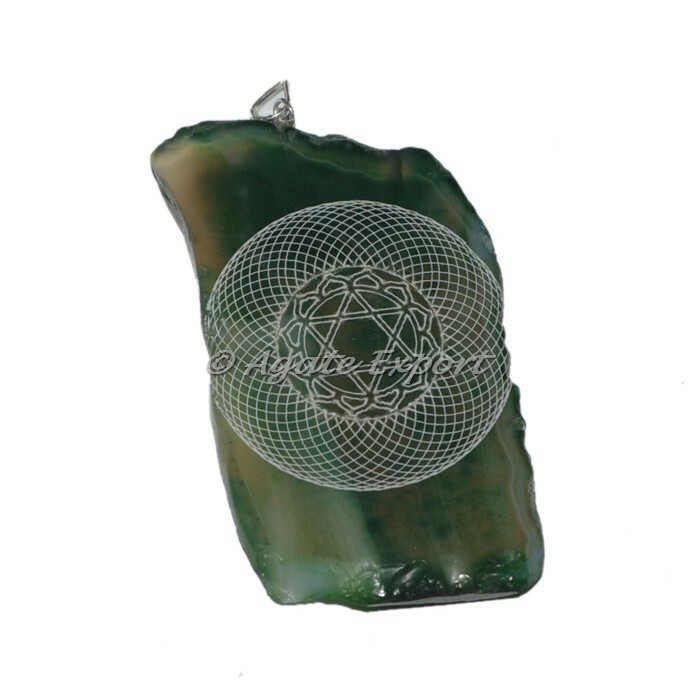 One of the kind slice pendant with heart chakra engraving on emerald green polished gemstone. The size is 25 - 35 MM and weighs about 20 -40 grams. You can also get the product engraved with the logo of your choice and design.